A perfect storm of risks threatens even the simplest of resiliency goals. 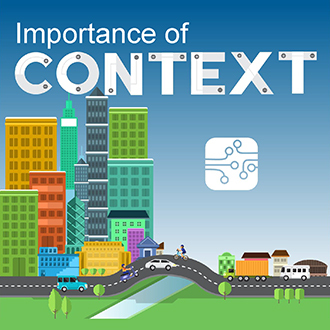 There are key dangers to pay attention to while evaluating the relevance of context, contracting, and people as critical factors to achieve goals. Starting with natural risks, resiliency is how vulnerable one is to hazards—understanding what the pattern or intensity of those hazards is, the response time, and how one can recover. In 2013, the New England Journal of Medicine reported that between 1980 to 2009, there has been an 80-percent increase in the growth of climate-related disasters. In 29 years, losses have doubled because of disaster. The increasing densities of urban centers, particularly in coastal cities, only push the limit of property and human losses. Even when attributing some of the loss increases to improved reporting, scientists argue two-thirds of the increase is ‘real.’ Certainly, if one were to dispute the increase in frequency, the rising costs related to increased density in urban centers still would be clear. Prioritizing maintenance or recovery plans based on risk and life line analysis. The ASCE 2013 Report Card for America’s Infrastructure estimates the need for $3.6 trillion to raise our infrastructure to acceptable standards. Further, the ASCE 2015 Report Card for New York’s Infrastructure showed only modest improvements with roads, bridges, and wastewater still reflecting “D” grades. And yet now another risk to consider: risk of cyber security. Recent reports show in the next five years we will see a move from 4 billion to 30 billion in Internet connected devices, with a trillion sensors emerging by 2022. Considering the prevalence of personal credit card hacks and identity theft, it is certainly within the realm of possibility there may be a data hack on a smart building or intelligent transport system. In 2014, many in the infrastructure community took careful note of the widely publicized study by Cesar Cerrudo on vulnerability of smart cities. 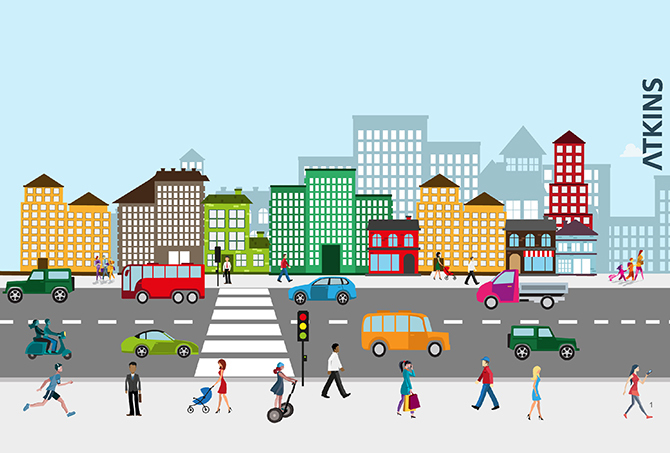 Field tests conducted have shown exposure to traffic sensors in several U.S. cities. In 2015, he found the exposure still existed. Couple this with a growing popularity of cyber-attack related video games, such as Ubisoft’s Watch Dogs, and you can begin to quickly realize the growing risks. 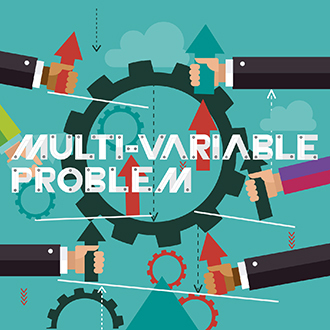 Problems often arise in isolation, but together the challenges become a multi-variable problem and infinitely more complex. Having personally worked in the IT side of the infrastructure industry for more than 25 years, this author has become familiar with the use of systems’ engineering principals and progressive assurance to protect people from these multi-variable problems—testing individual pieces of hardware or code independently before connecting them together. However, when the time comes to design or redevelop infrastructure, the luxury of a controlled setting is not always possible. Assumptions need to be made and the interdependencies of these variables must be modeled—it is the real-life, natural elements that will tell the true story of a successful design. 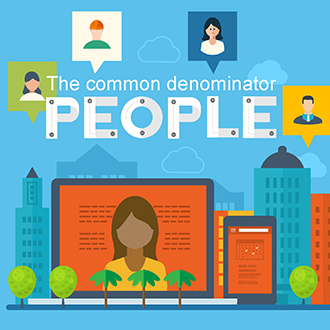 Thus, the most important variable to be considered is people. Humans will use and interact with the infrastructure in the environment. “There is no logic that can be superimposed on the city. People make it, and it is to them, not buildings, that we must fit our plans,” Jane Jacobs told Fortune Magazine in 1958. For example, a new bridge structure loaded up with sensors can tell the operator everything from vibration to loads to wear and tear. Bridges in Atlanta or New York would be connected to servers with teams of people in well-staffed agencies or top-notch consultants evaluating, managing, and leveraging data to optimize maintenance, improve safety, and develop improved designs. Incoming data would feed decision support systems or asset management systems generating predictions, automating work orders—a great example of making the best of all new technology has to offer. However, take the same bridge in a rural town struggling to make ends meet. It has barely enough staff to keep up with the basic needs. How can it take advantage of all this and not be left behind? What about in a developing country? The context in which this bridge sits all of a sudden becomes vitally important. The bridge in the urban setting is quickly integrated into the system of systems. Except in the rural setting, if the data being generated lacks a person or system to interpret or leverage it, there is no meaning to derive, no predictions to be made—would this just be a colossal waste of money? Such a perceived waste can be avoided if the context is evaluated early in the conceptual design stage. Assuming in each instance somebody is looking to achieve similar levels of resiliency leveraging the latest technology, the context requires different methods of implementation. In the case of the rural location, it means contracting remote monitoring and support; in the case of the developing country, perhaps simply the ability to apply the learning derived from similar sensor laden bridges in other parts of the world. In both instances, when context is considered, operators can still obtain valuable intelligence to ensure future designs are more sustainable. In the end, the data is generally only as good as the team or system that can interpret the data and leverage it for continuous improvement. It is important people do not become lulled into complacency with respect to technology and allow smart infrastructure make them inferior. These improvements can be readily shared so all stakeholders, regardless of context, to improve infrastructure investment and design decisions. The key is to treat the whole patient—step back and understand the context, before trying to devise and implement a more sustainable solution. In the previous bridge example, considerations are referenced for new methods of contracting in ways that will help cities less equipped take advantage of technological advancements. 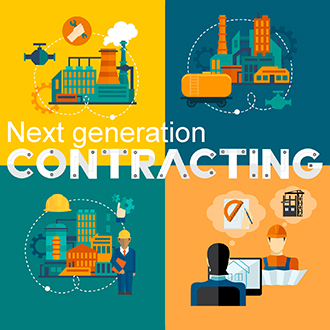 This is the tip of the iceberg as it relates to how interdependencies and new technologies could influence the next generation planning and contracting in the industry. As new technology helps us improve resiliency decision-making and funding constraints force us to find ways to extend life or lower lifecycle costs of assets, we are rapidly seeing changes in our delivery methods. Owners are taking a step back and starting to look at the bigger picture. There is a rise in public/private partnerships (P3), an increasing prominence of Integrated Project Delivery (IPD), and many new terms and conditions in infrastructure design and construction contracts addressing shared risk. In the mist of the merging of physical and virtual worlds, evidence of new relationships is forming in the supply chain as well. Traditional engineering firms are finding new partners—more collaboration with large IT and system integration companies, more partnerships with financial firms and banks, and learning how to drive more progressive relationships with contractors on much larger scales. All these new relationships and contracting methods invoke a new line of questioning or self-reflection for many traditional design and engineering firms with respect to their position or ‘fit’ in this evolving supply chain. It is truly imperative for traditional design firms to complement this supply chain disruption with an equal level of disruption considering new ways of working, sparking whole-systems thinking and embracing deep technological shifts in the industry. When delving deeper into the fusing of the physical and virtual worlds, it is important to embrace these changes through a push to accelerate ‘digital engineering.’ Whether an individual leverages related terms such as building information modeling (BIM), this is about the automation of all or parts of the lifecycle of a built asset. Outside of certain BIM mandates for federal facility designs, most of the leading-edge push has come from the private industry. Why? In the private sector, the infrastructure owner is more intensely driven by commercial returns and when he or she sees the clear return on investment (ROI) evidenced through the use of digital engineering and digital asset management, the owner understands and is able to quickly develop new requirements without complex government bureaucracy. The financial world sees it the same way. Lengthy concessionaire agreements on P3 contracts are about assuring the commercial returns. The benefits of de-risking the return on investment by proactive data management make second guessing enforcement of contractual requirements on the lead designer not an option. 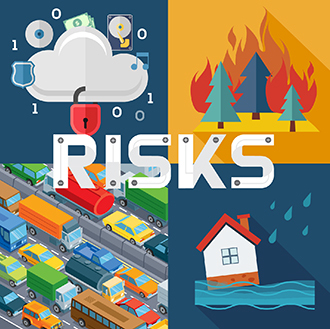 When examining the area of infrastructure resiliency, engineers can be leveraging BIM in more progressive ways—not just for obligatory contract requirements, but becoming invested partners in driving that ROI—share in the reward, as much as the risk. Addressing level of detail and information in early phase models, BIM can be leveraged for management of Leadership in Energy and Environmental Design (LEED) compliance. Modeling and optimizing carbon and energy efficiency during concept stage will lead to material long-term operating cost reductions. Additionally, designers can leverage frameworks for sustainable return on investment, putting a value on green infrastructure and showcasing long-term benefits for maintenance cost and resiliency. BIM and related digital engineering services are becoming more the norm and it will be imperative for the design and engineering community to step up and proactively guide how new technologies and research will be applied. Global standards organizations, such as the buildingSMART alliance and Open Geospatial are accelerating involvement to drive these discussions. It is important these talks are infused with infrastructure domain expertise. The design and engineering community need to help make the technology better—truly a call to action for this industry to lead what many call the fourth industrial revolution—this is not a time to just sit back and follow. People are the last, and most important point to understanding resilience and interdependency risks. Education is the best investment for resilience of future cities when it comes down to it. People inherently live in ‘silos’—it is human nature to gravitate toward what is familiar and trusted. Since interdependencies by their very nature require there to be interaction, what happens if people refuse to interact? Will we leave it to the computers to model these interactions and make the decisions accordingly? Today, there is more data than ever and it is impossible to comprehend what that data set will look like one or five years from now. What has become increasingly more important today for our industry is that we learn to leverage this data and apply it in our next generation designs. The data can also be leveraged as a means to bring people together – to break down ‘silos’ and analyze a situation as a team, recognizing the interdependencies and people are now living in a connected system of systems. It does not help to connect the bits and bytes if people are not connected to make higher order decisions. One of the most prevalent arenas where these ‘silos’ are present are where cities are addressing impacts of climate change. Climate change does not pick a specific type of infrastructure or location or socio-economic faction. It cuts across and requires a coming together of disciplines and ideas to drive solutions. In a recent project supporting climate change management in the Dominican Republic, this author has observed that when discussions emphasize people-related aspects, building common interests, discussing experiences, and learning from different perspectives, the relationships that develop are what drives engagement and results. Many sources of data, tools, and technology will aid and facilitate the work of understanding interdependencies as it relates to resiliency. Data and tools are used to help tell a story, but the heart and soul of these efforts is the coming together of the diverse discipline leaders, evaluating together the interdependencies, sharing knowledge, and ensuring connections are established to other people and resources. These are skills that surpass data and technology, skills that need to be taught and encouraged. They are sometimes tough abilities for a lot of nuts and bolts engineers, but the development of these services in our industry is what will enable clear recognition of the interdependencies and truly drive resiliency. Donna M. Huey is a senior vice president and client technology and innovation director for Atkins. She also chairs the company’s technical network that focuses on successful integration of digital solutions for Atkins and its clients. Donna has extensive experience in consulting related to technology selection, development, and implementation and has brought her particular expertise in geographic information systems to bear on projects ranging from transportation management systems to floodplain delineation and mapping programs. Donna has a bachelor’s of science degree from the University of South Florida and is a certified geographic information system professional, Corps of Engineers wetland delineator, and Esri ArcView instructor. Established in 1938, Atkins is one of the world’s most respected design, engineering, and project management consultancies. With more than 18,000 employees in offices across the United States, the United Kingdom, Europe, Asia, and the Middle East, Atkins is involved in designing and planning everything from urban infrastructure to rail lines, and aerospace engineering to water management.